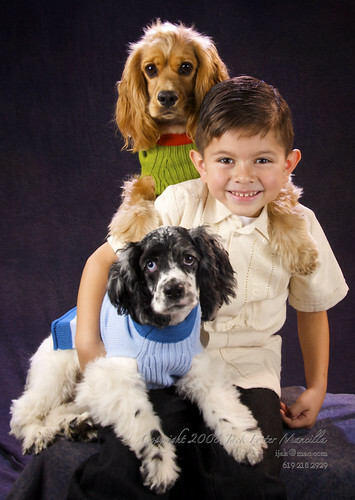 This little family came in to get some pictures of just their dogs. … Believe me when I say I love animals, I really do. But that includes the human animal. … And while images of just pets can be truly rewarding, and great, I have a penchant for getting groups together. I like the interactions between them, the way they play off each other. This is the result. … The boy is smiling. The dogs are a little weirded out. The mom is lying on the floor behind the boy, supporting the dog. The father is standing off to the right; thinking I am making a fool of his family. I am taking one of my favorite pictures. This entry was posted in Animal, Family, Pets - Dogs. Bookmark the permalink. Keep me up date Jack, I love to see your photography, con respeto, Chapel.